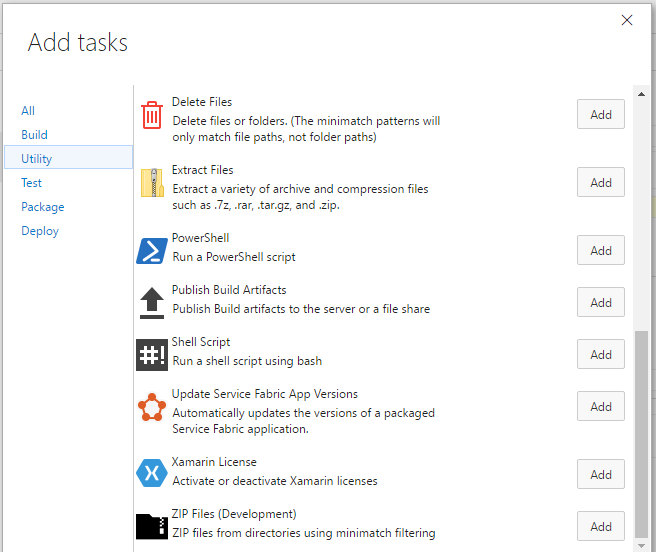 Zip (with xplat support) or copy files with full minimatch support using these Build and Release Management tasks. Visual Studio Team Services Build and Release Management extensions that help you manipulate your files. Learn more about this extension on the wiki!